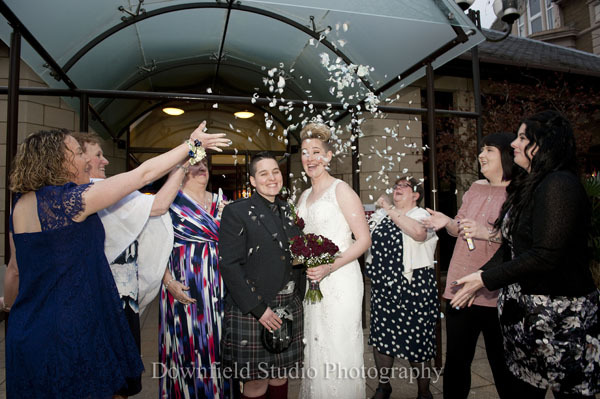 Amanda and Vicki as you can tell had a ball on their wedding day Woodlands Hotel Dundee. 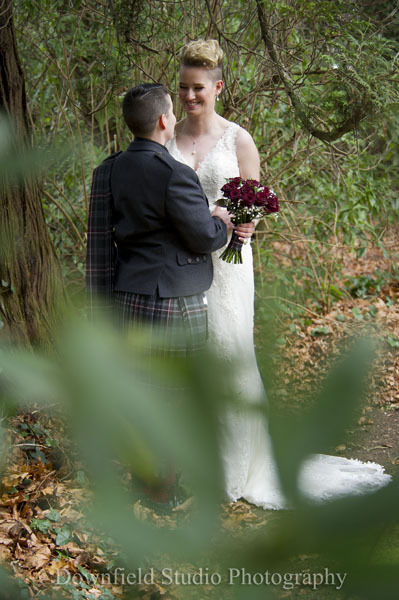 We met them both at a wedding fayre a year earlier where they booked us to take their wedding photography. We knew then that they both were full of fun by the way they explained what they would like photographed on their special day. At the final meeting with us we were able to see how much they both are in love and that this is one of the precious days of their lives. 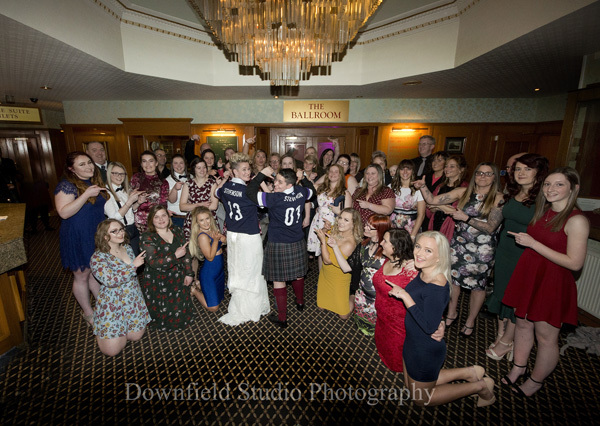 Vicki who loves playing rugby had all her rugby friends in a large group photo at night which took over the whole of the reception at the hotel. 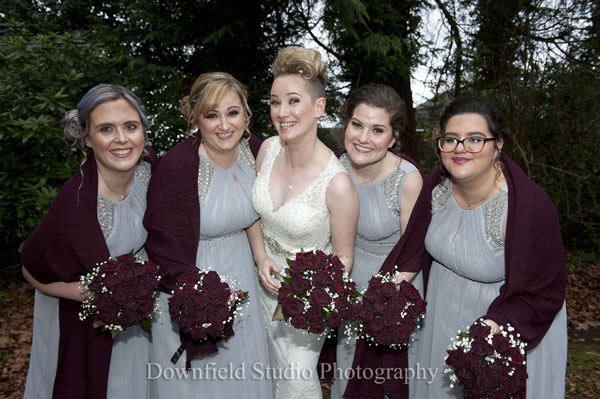 The bridal party were so good at being up for going outside although very chilly for the shots Amanda and Vicki requested after all it is their day and they are paying for everyones meals. 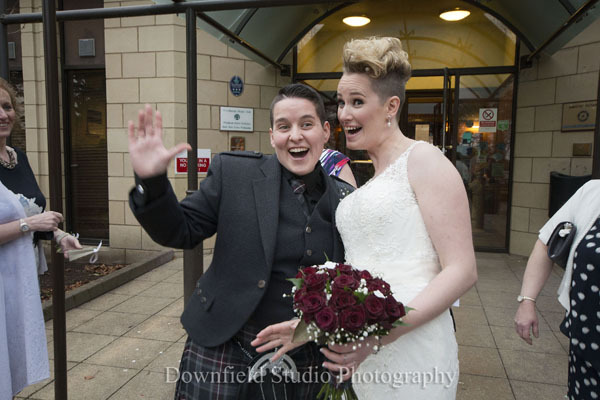 Amanda’s funky hair was styled by Kirsty Swankie of KirstyDuncan Hairdressing and Beauty Therapy which was so different to what most brides go for on the day. Their wedding cake was a bit special too with coffee beans pouring down one side into cups this is significant to them both as their first date was in Starbucks and the other side of the cake was more on the traditional style. 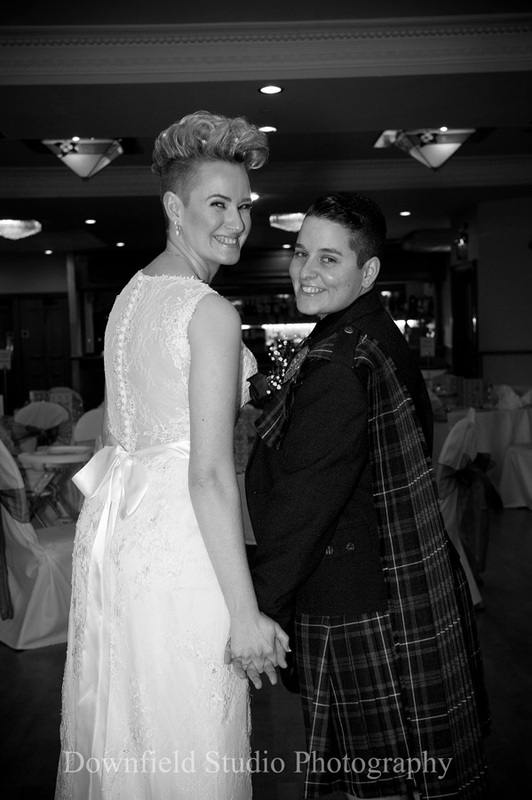 The whole day went fantastically and we would like to wish Amanda and Vicki all the best for the future.